We listed up our recommendations for you ! MonotaRO offers whet stones and more. You can buy them anytime from our Thailand online store. Length (mm): 104, 104, Shape: S, Width (mm): 30, 30, Grain Size: 180, 180, Thickness (mm): 25, 25, Hardness: H, H, Bond: V, V, Purpose: Diamond and CBN wheel setting grindstone., Diamond and CBN wheel setting grindstone., Caution: Let WHITE STONE soak water or grinding oil and fix it on machine table. Press it to diamond andCBN wheel when you use it., Let WHITE STONE soak water or grinding oil and fix it on machine table. Press it to diamond andCBN wheel when you use it. Grain Size: #1000 (medium finishing), # (For finishing middle) 1000, Dimension (mm): 215x70x15x1, 215x70x15x1, Purpose: Whetting of standard knives, super hard knives, hard to cut materials. Chamffering whetstone., Whetting of standard knives, super hard knives, hard to cut materials. Chamffering whetstone. See more results of "whet stones"
Our recommendation, Ceramic Whetstone and Cutlery Whetstone. 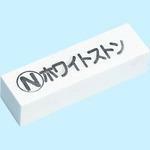 Cutting whetstone Samurai and Cutting Whetstone Samurai and many other best selling products. Cutting Whetstone Samurai and 1-Mm Thickness and many other offers. For more details of Sharpening Stone and "King Combi", click here ! Ceramic Roll Sharpener and Grinding Paper Cone and others, don't miss it ! Find Perfect Abrasive Stone and Abrasive Disc For Your Need ! Flat Type Fuse Holder and Water Proof and other MonotaRO's offers ! King Gold finishing abrasive and Grinding Stone and other alternatives. Find Perfect cella point (for nonmetallic) and cella point (for metal) For Your Need ! Vintage Motorcycle Tire and Trail Wing TW-301 and many other offers.